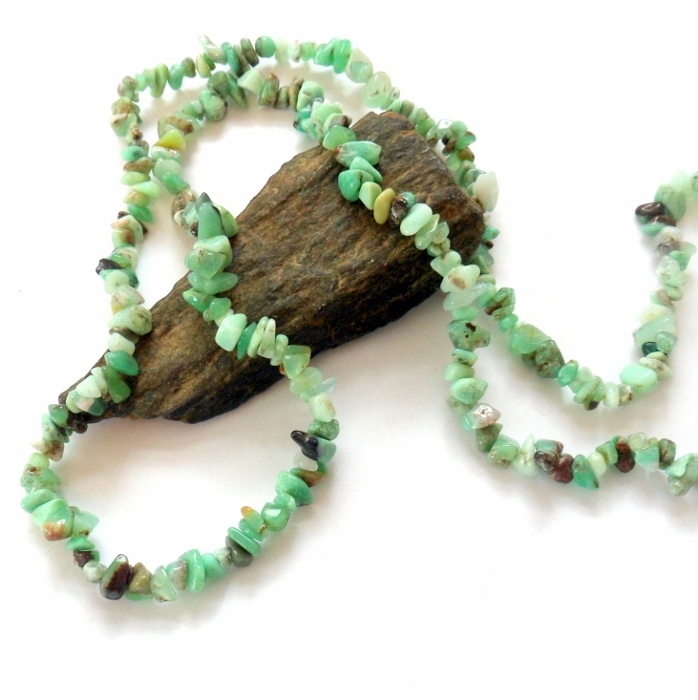 Natural green opal chip gemstones set on a super long necklace. Opal is associated with love, passion, and eroticism, known for intensifying emotions and releasing inhibitions. 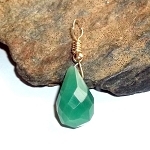 It is a very protective stone, useful for entering dangerous situations. It brings loyalty, faithfulness, and spontaneity into romantic relationships. 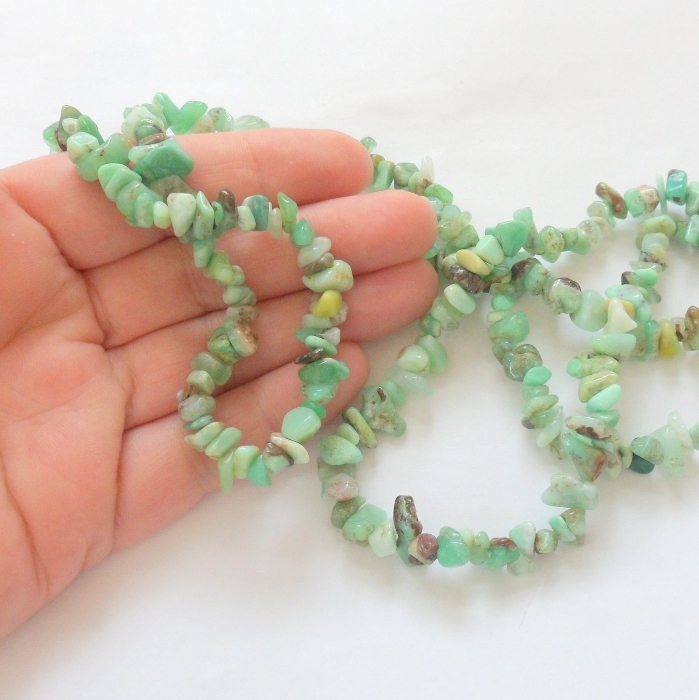 Opal gemstones strengthen the will to live, and have extensive healing powers and energy. It is excellent for infections, childbirth, vision, and the blood. 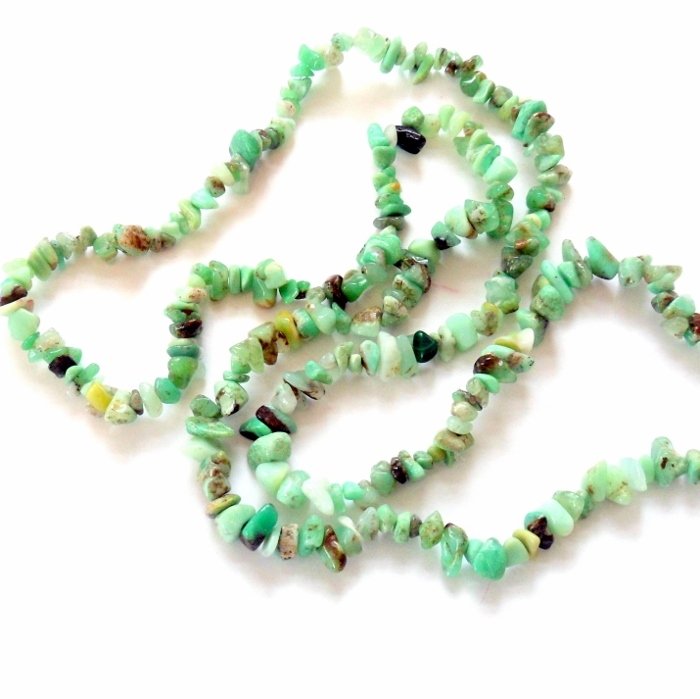 Necklace is approximately 34 inches long and there is no clasp, just throw it over your head.